WOW!! 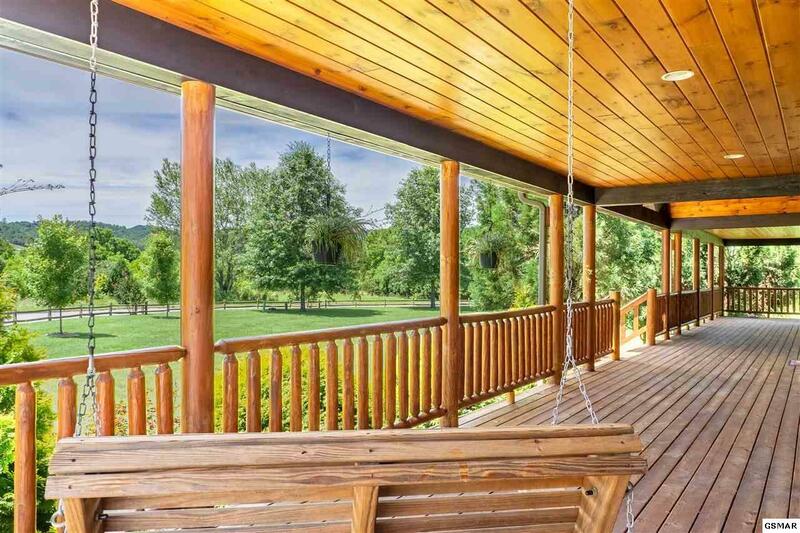 Great Views from every side of this wrap around porch! 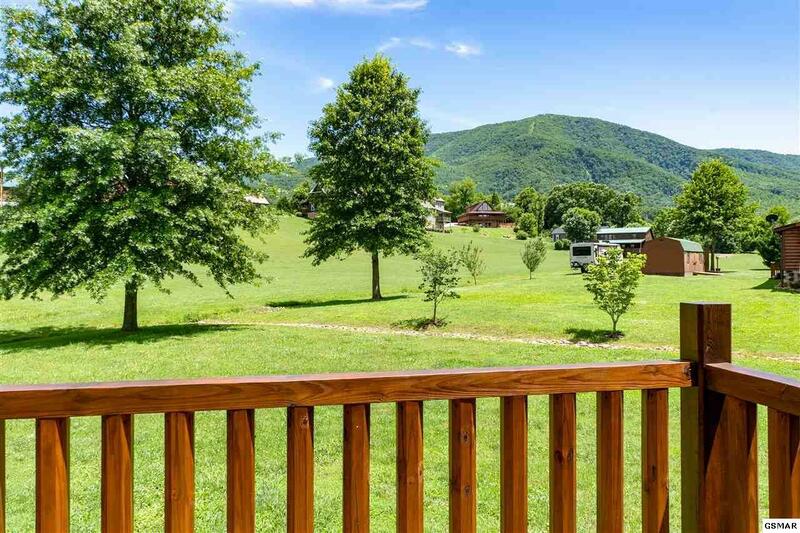 Cove Mountain & Smoky Mountain National Park right off the back yard! 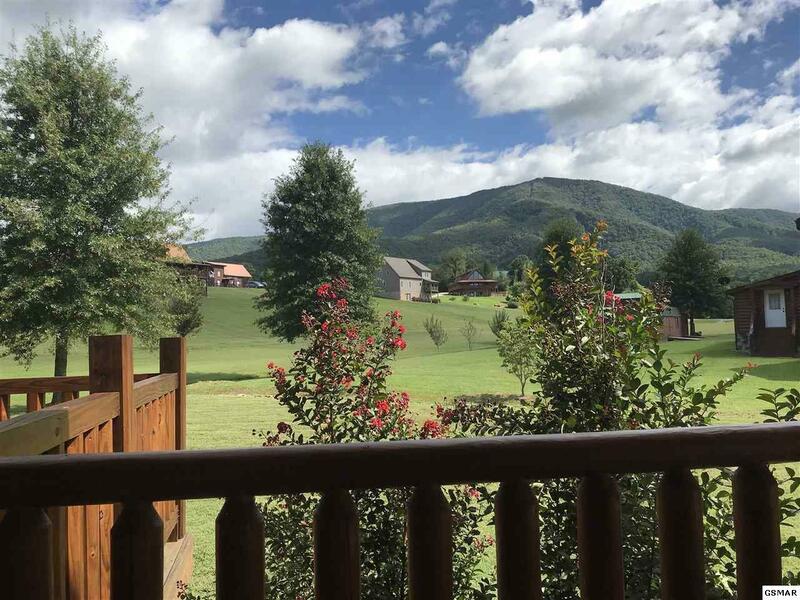 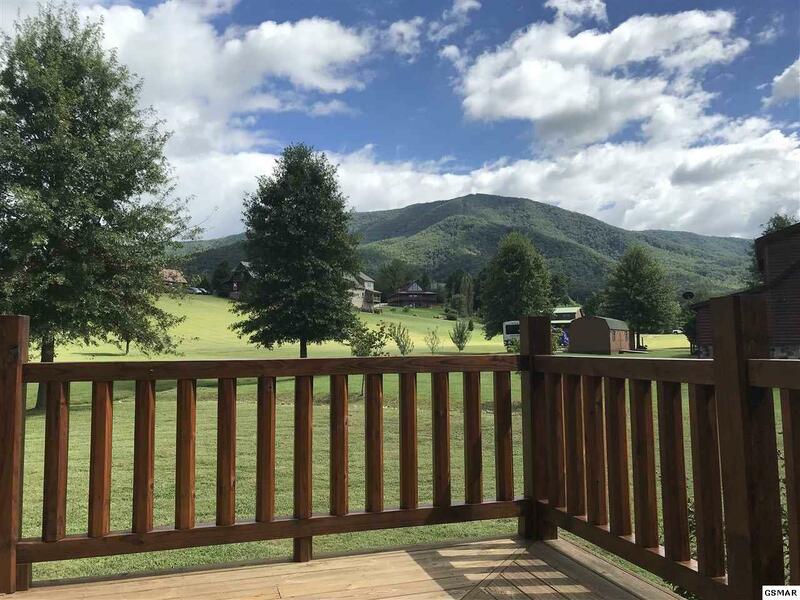 Sit in your porch swing and drink your coffee looking at one of the best views in Wears Valley. 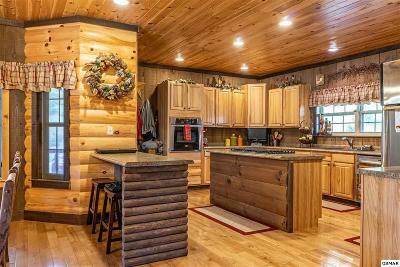 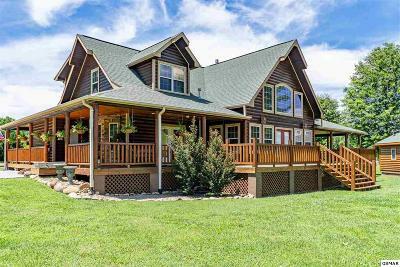 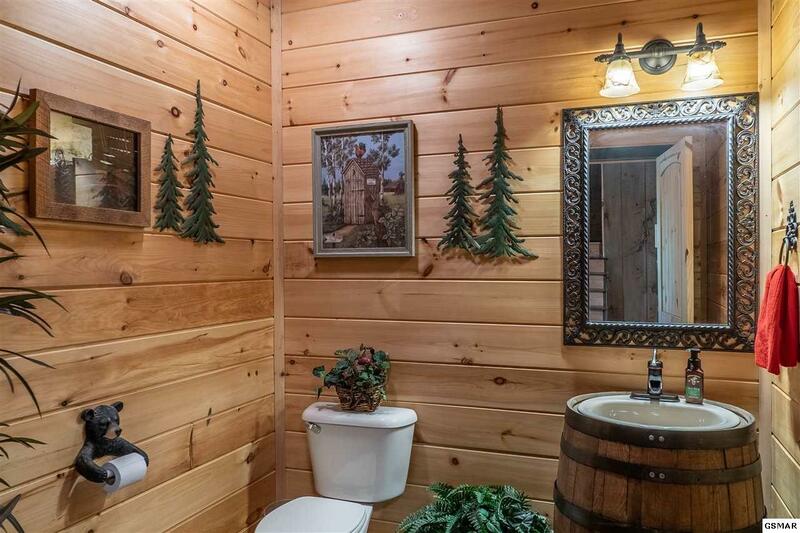 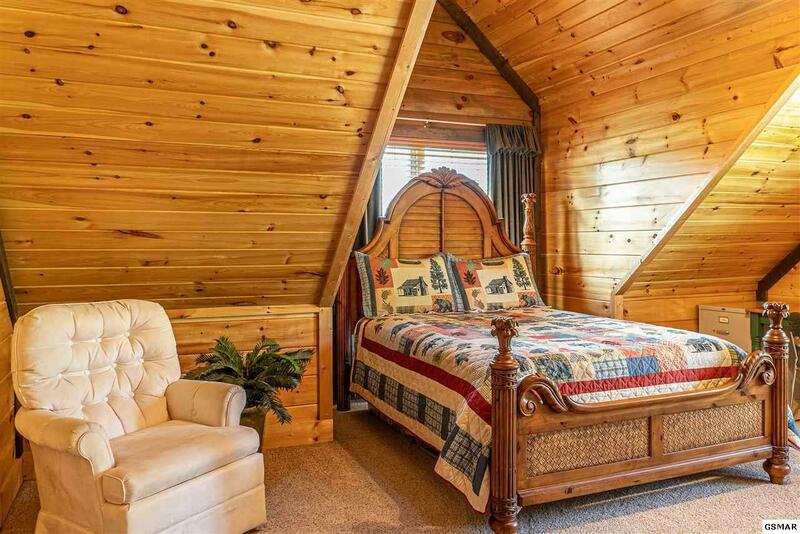 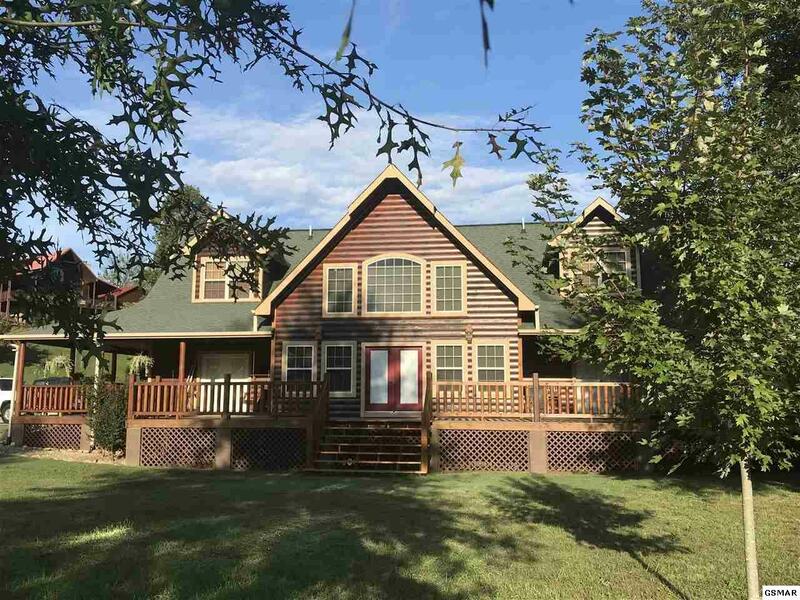 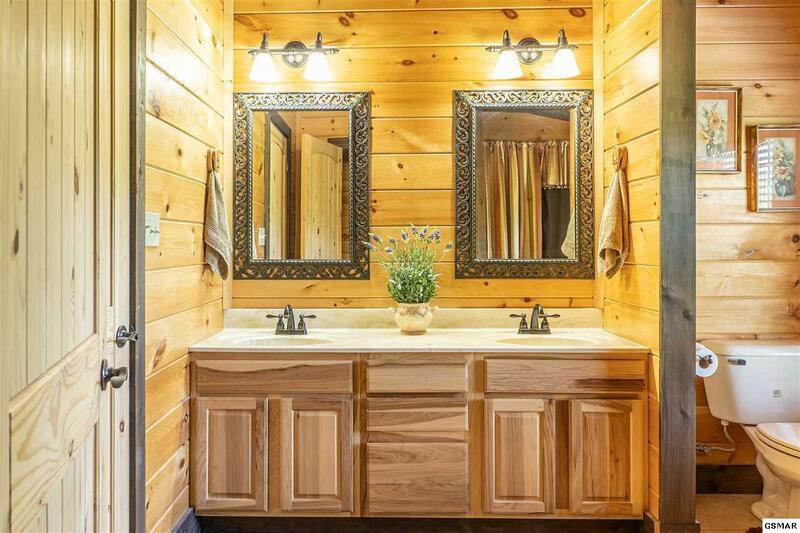 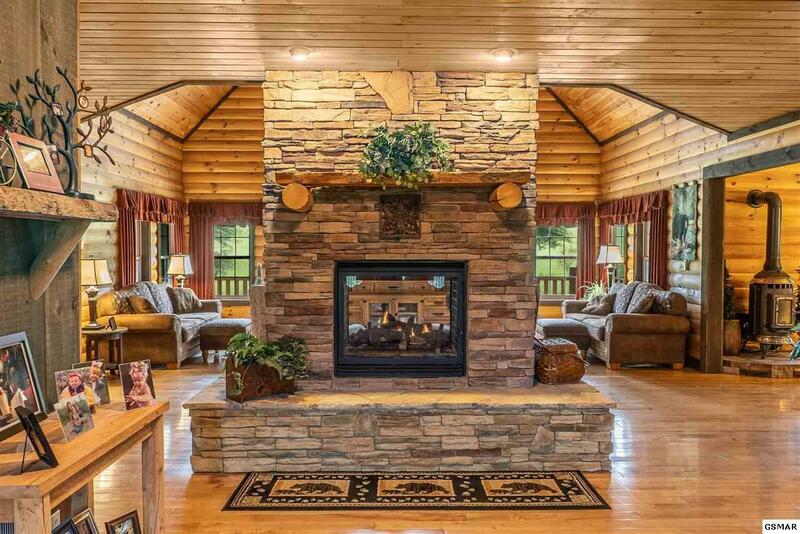 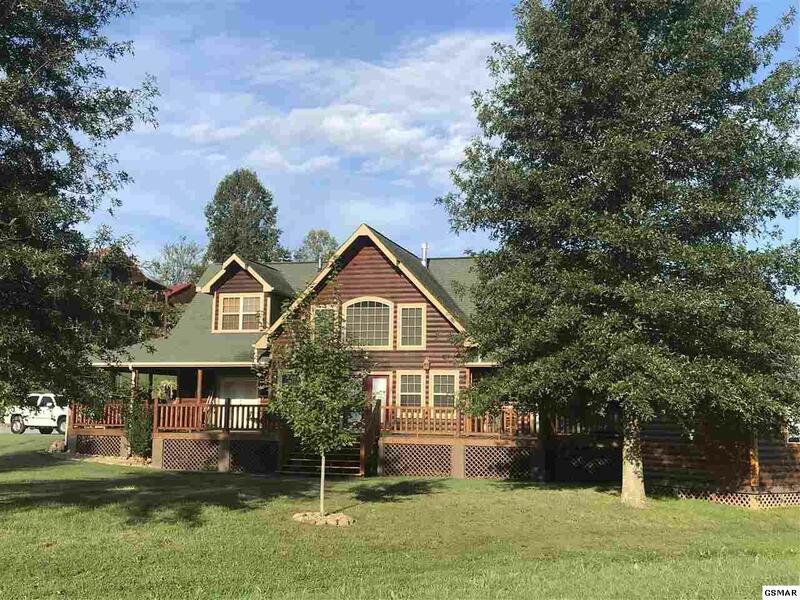 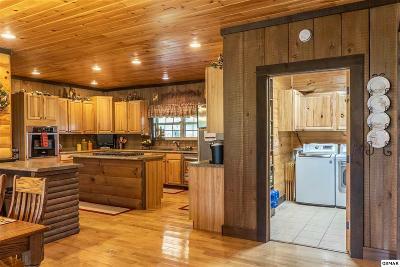 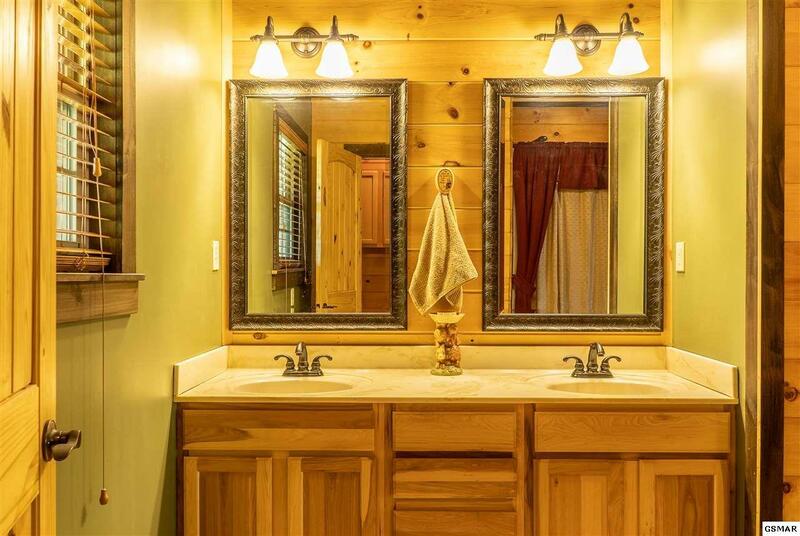 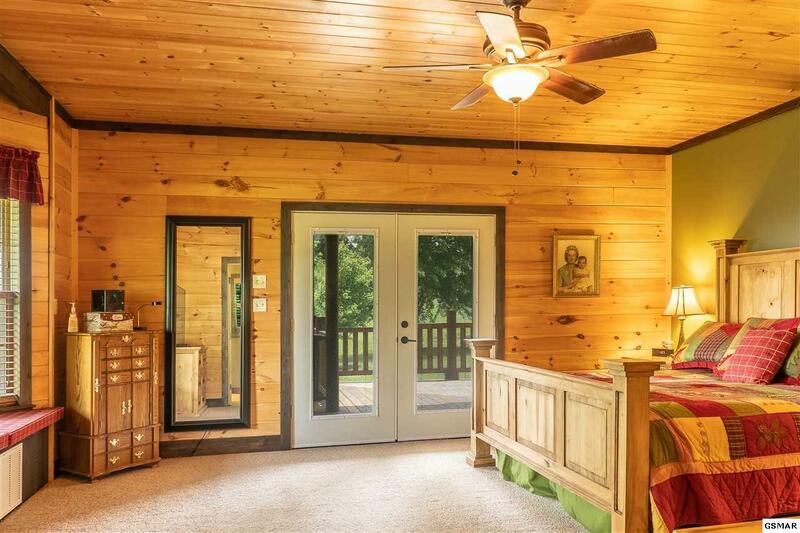 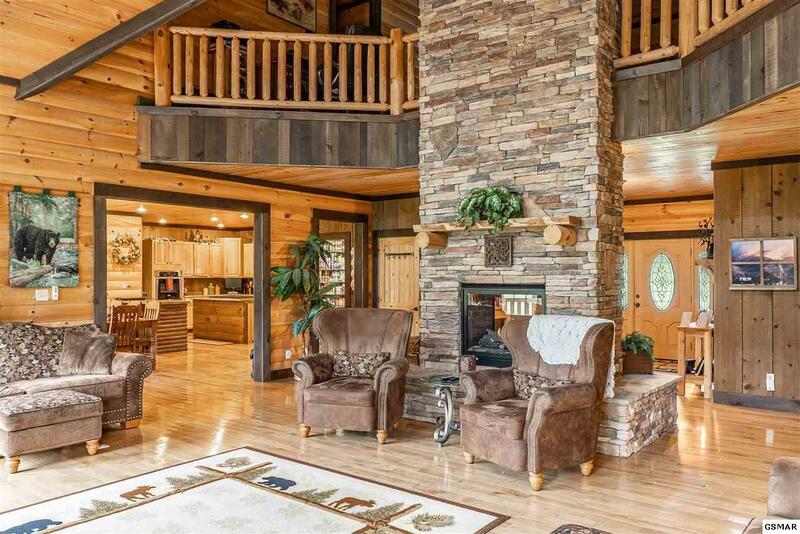 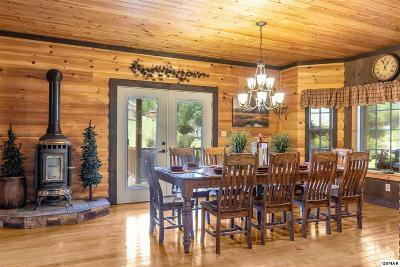 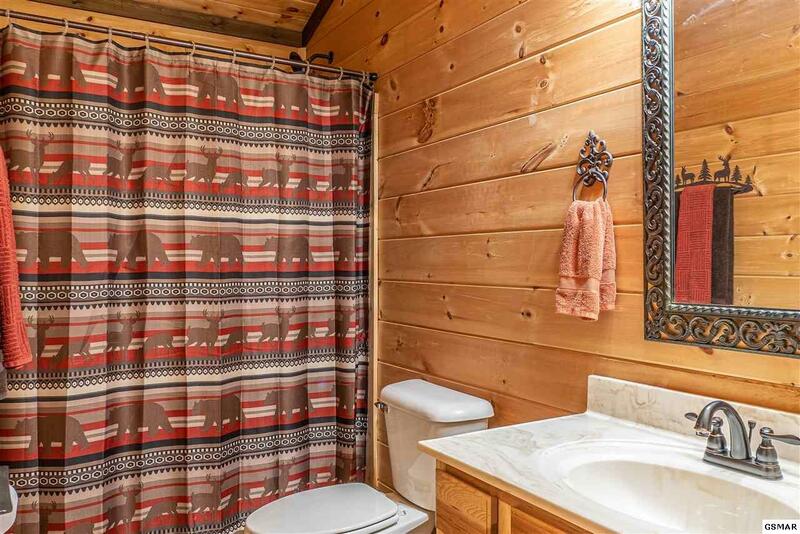 This cabin has 2 large Master bedrooms each with walk-in closets and large bathrooms. 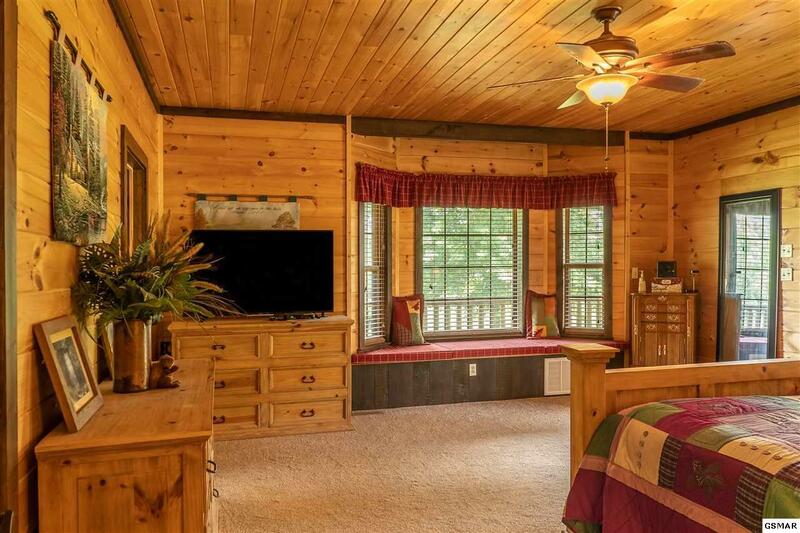 The 3rd bedroom is good size as well. 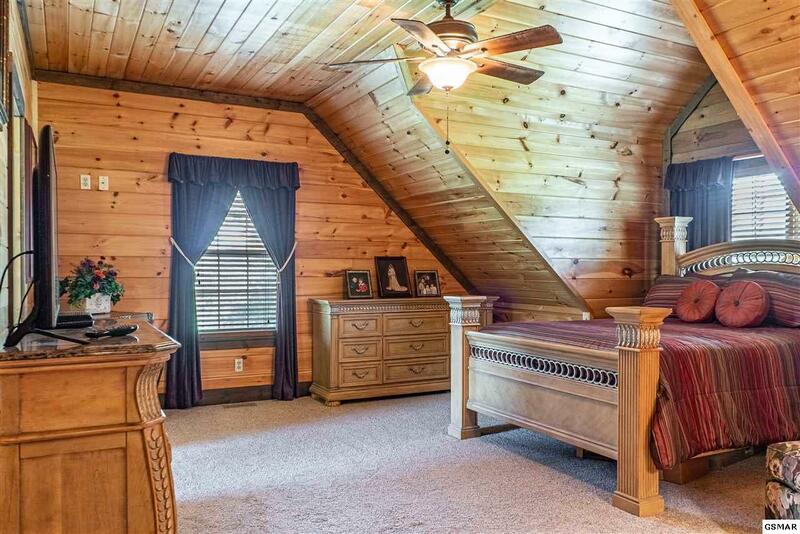 There is also a 4th room upstairs that we use as a bedroom. 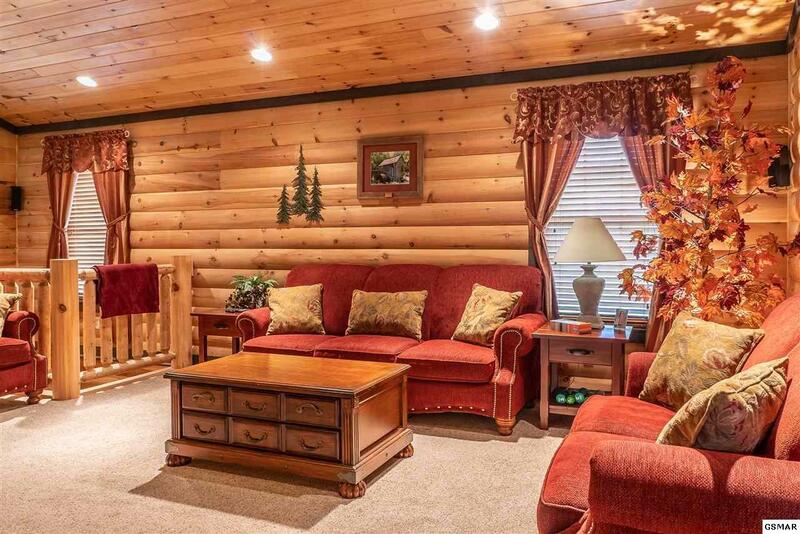 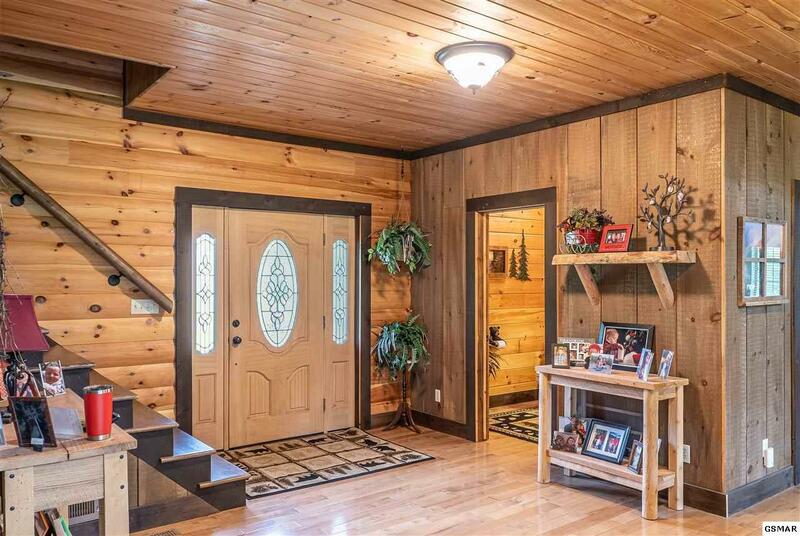 So the cabin is being used as a 4 BR / 3.5 Bath home with the current furnishings. The upper loft looks down over the great room. 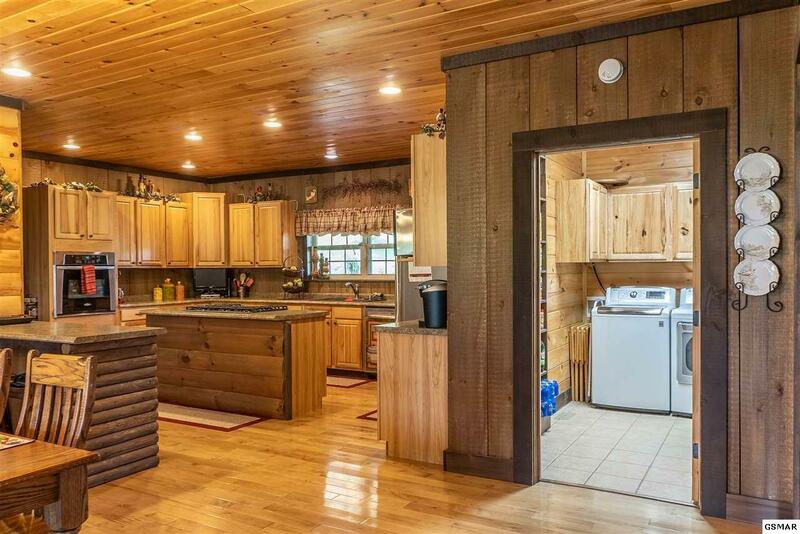 Large Laundry/Pantry combo room. Enter the large foyer facing the 2 sided stone fireplace. 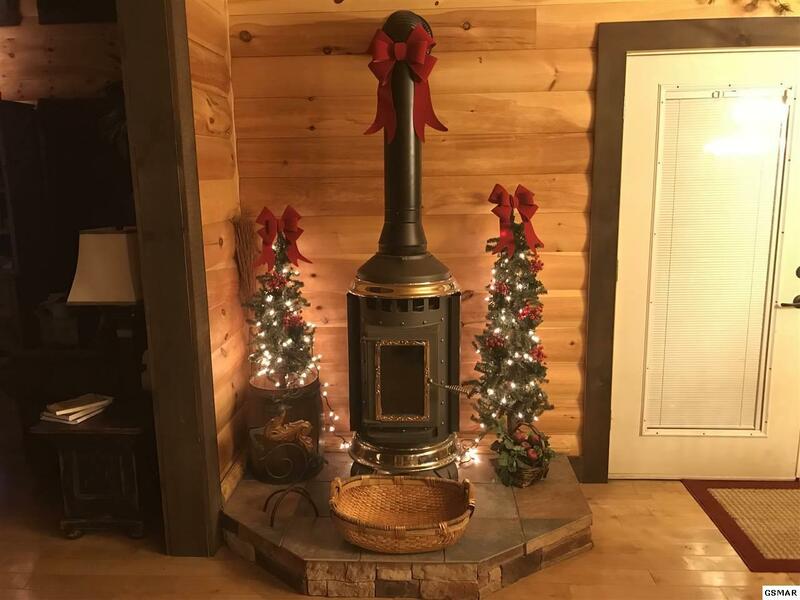 There is also a "pot belly" style pellet stove in the over-sized Dining Room for additional heat. 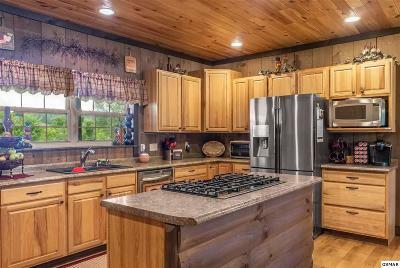 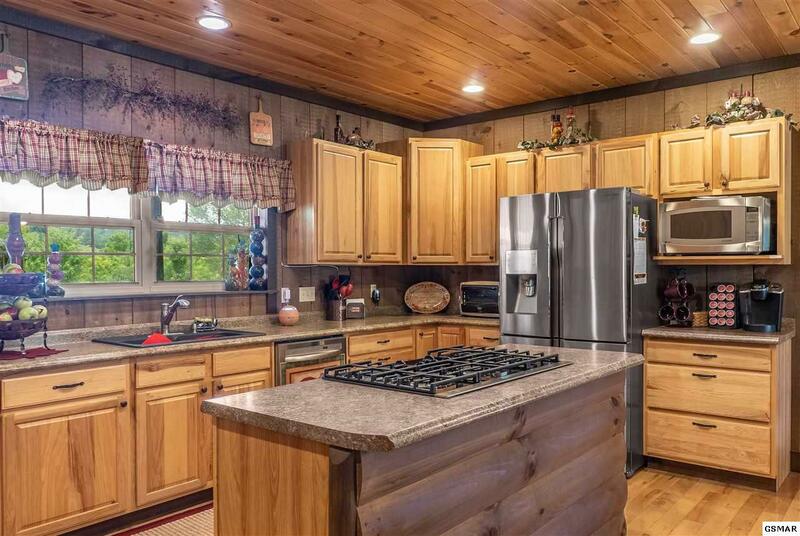 The large kitchen has plenty of cabinets and a center island. 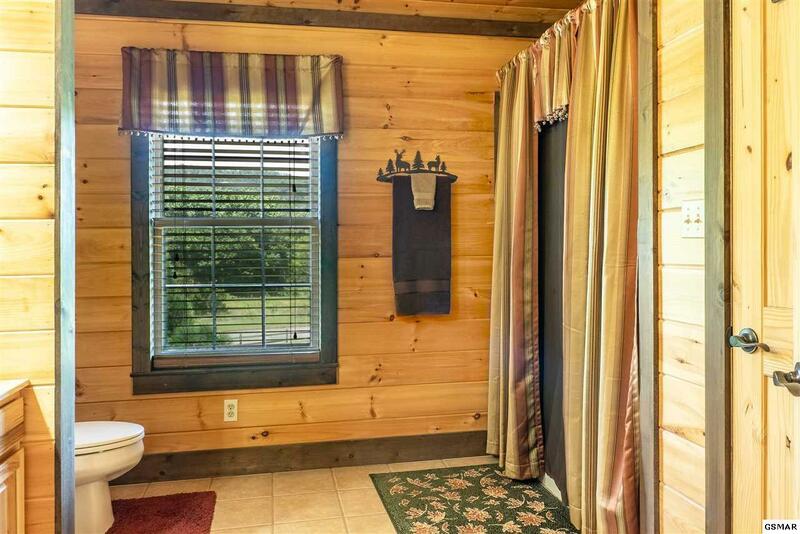 Also has a built-in eating bar. The gas appliances include: Cook-top, Tank-less water heater (never run out of hot water), Downstairs central heat, Double Sided Fireplace and Outside Grill. 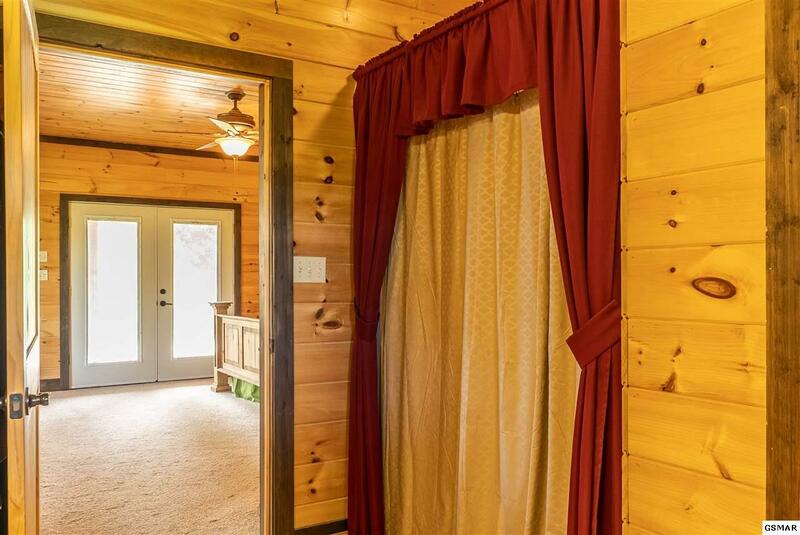 Other additional features include: Upright Freezer, Extra Refrigerator in Porch Closet, Built-in Ice Maker, Manablock Water Shutoff System, Custom Blinds, 10ft wide wrap around deck, Porch Closet and Ceiling Storage (good for storing Christmas & Fall decorations), 12x24 Shop/Shed and fresh stain. 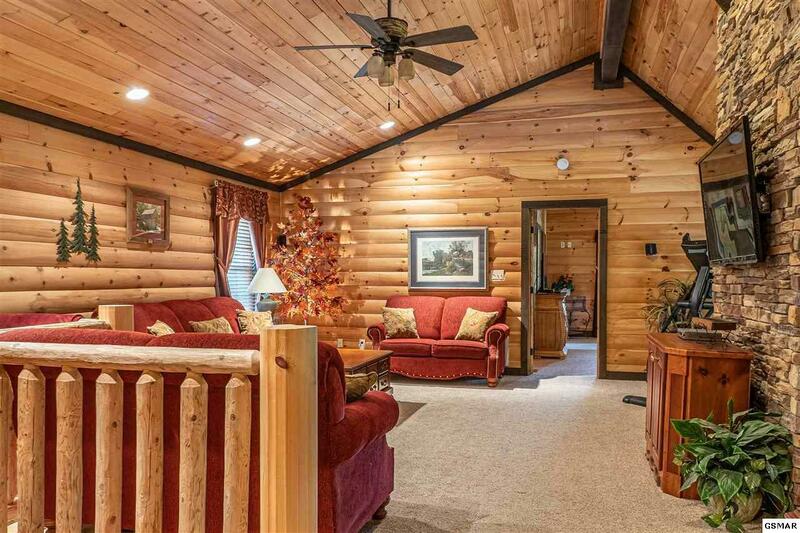 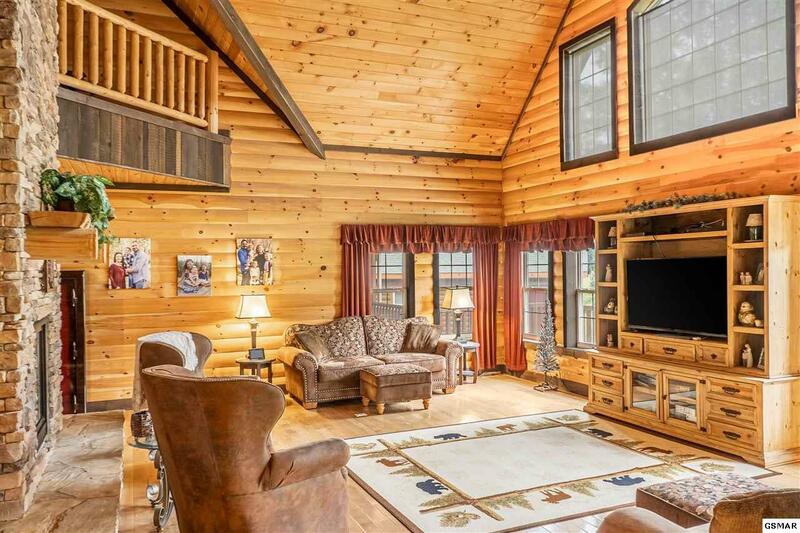 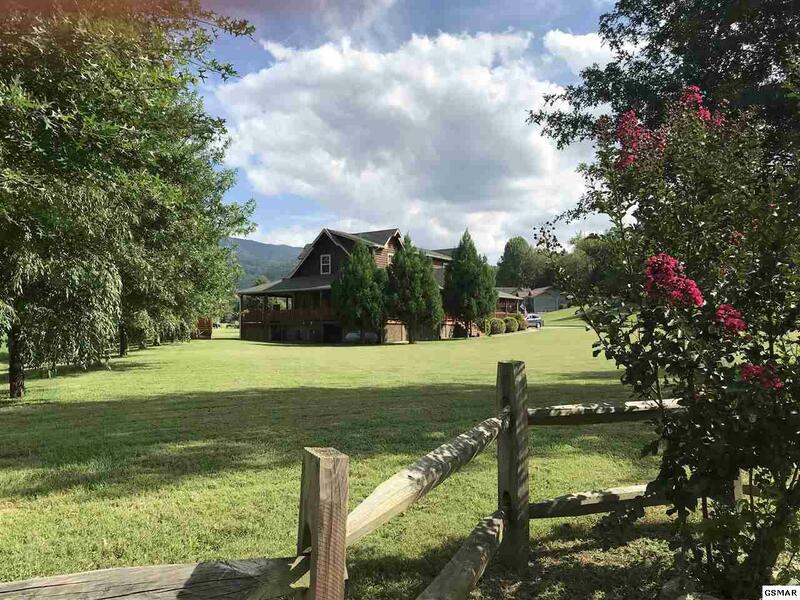 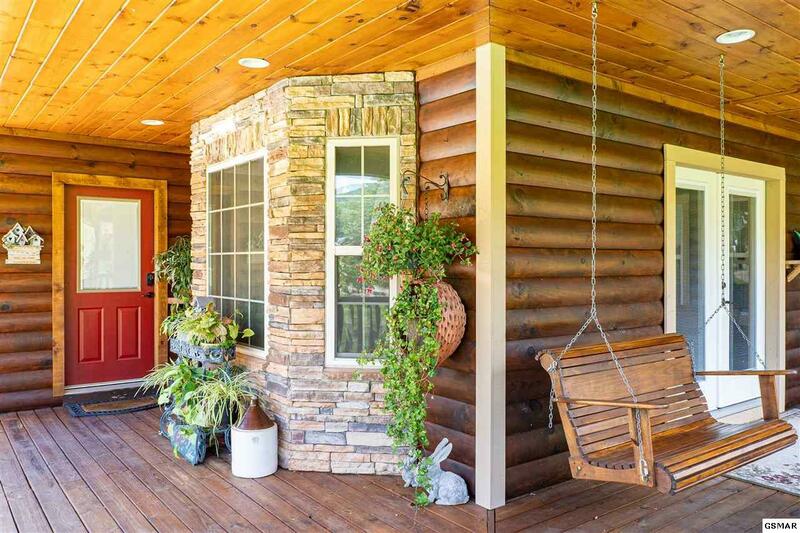 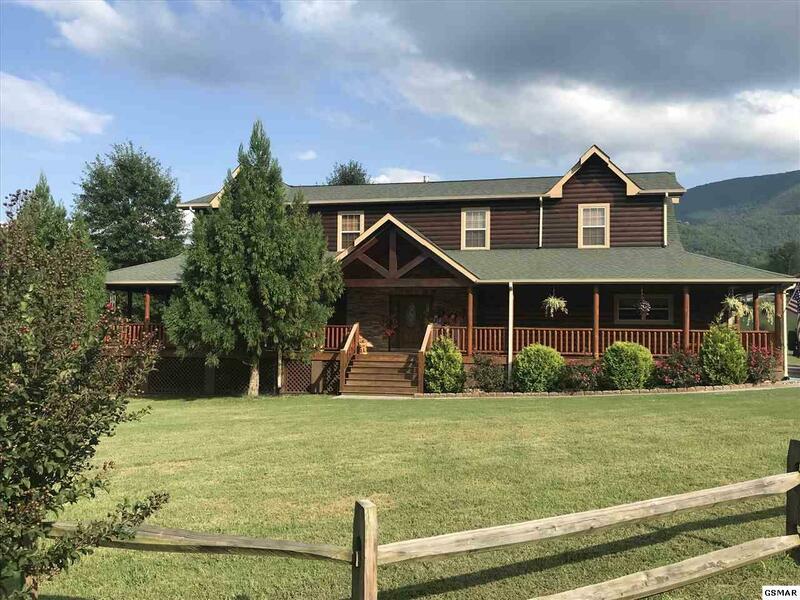 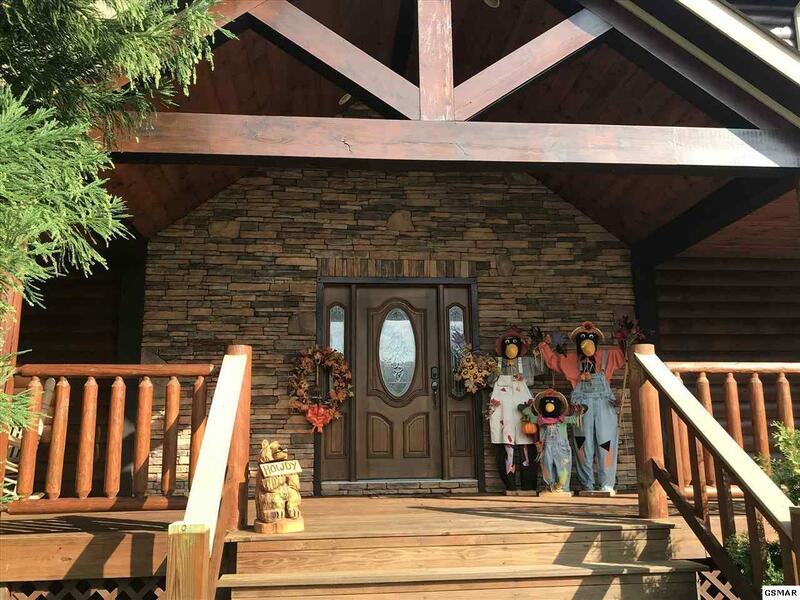 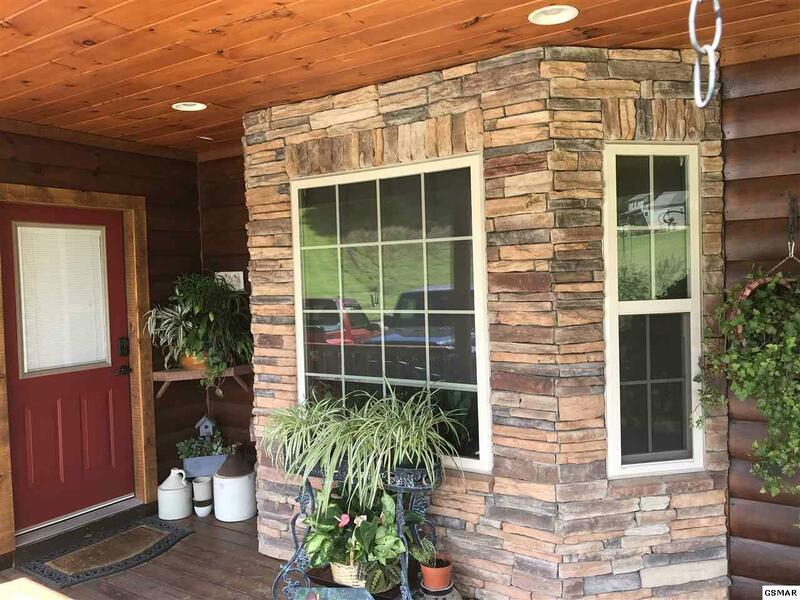 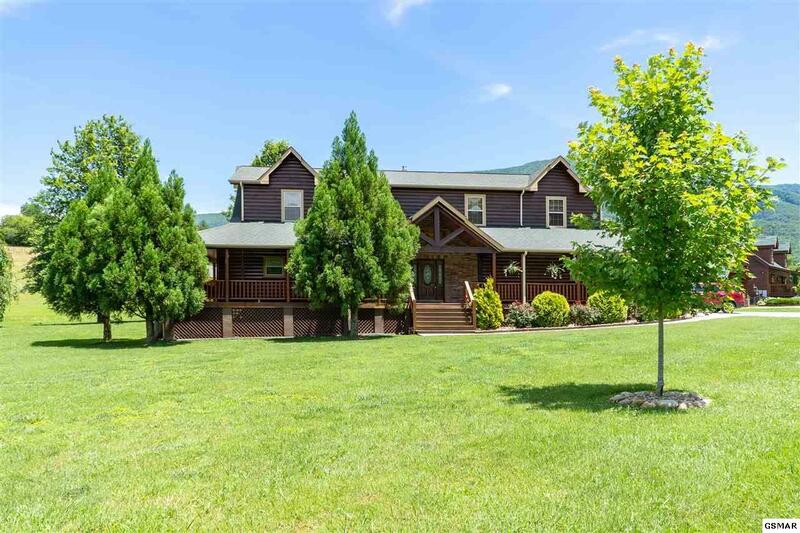 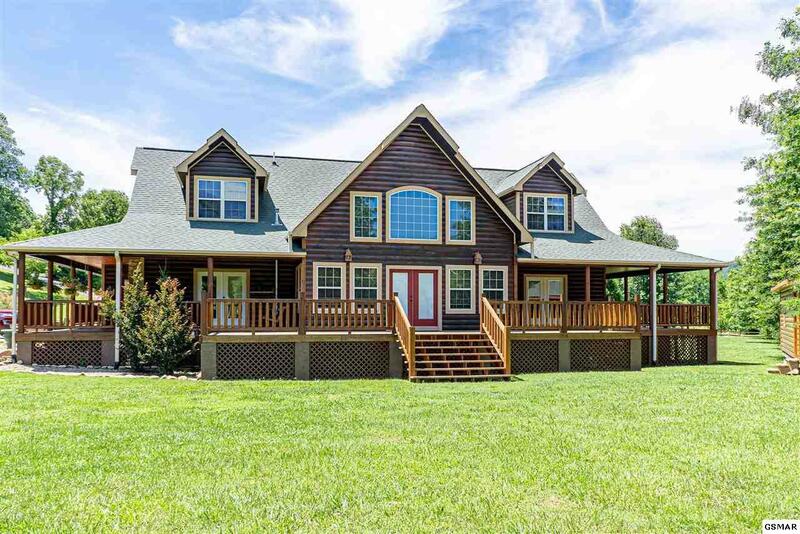 This cabin is built to be a comfortable permanent home, BUT is being sold complete with upscale Furniture and Decor ready for a GREAT rental investment cabin. 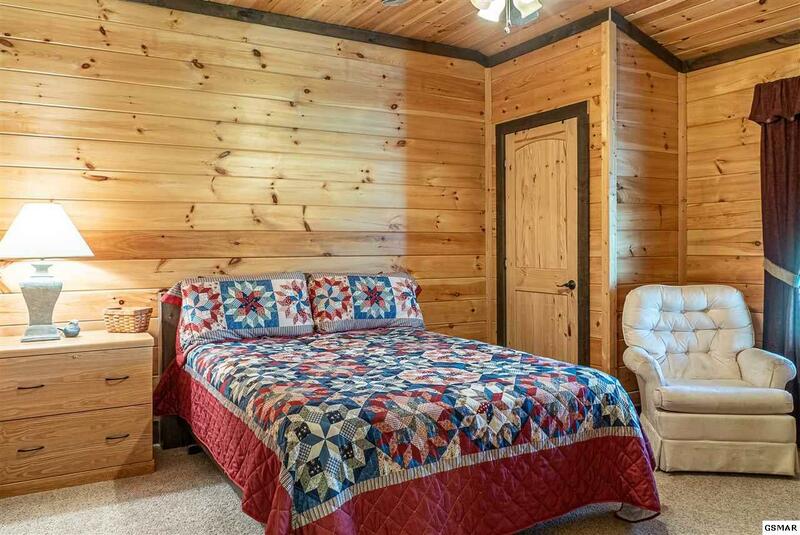 It could sleep up to 12 people VERY comfortably and has all the supporting features for that size rental!